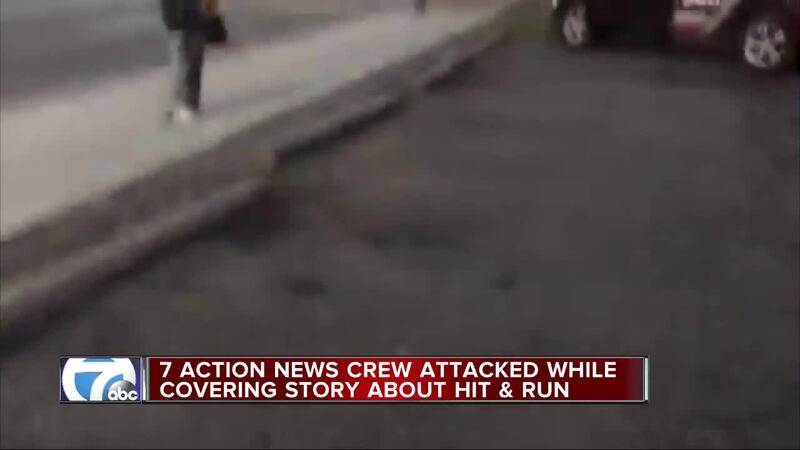 While covering a story about a hit-and-run on Detroit's west side, our crew found themselves in a dangerous situation. A man approached reporter Nia Harden and photojournalist Mike Krotche carrying something that looked like a baton. 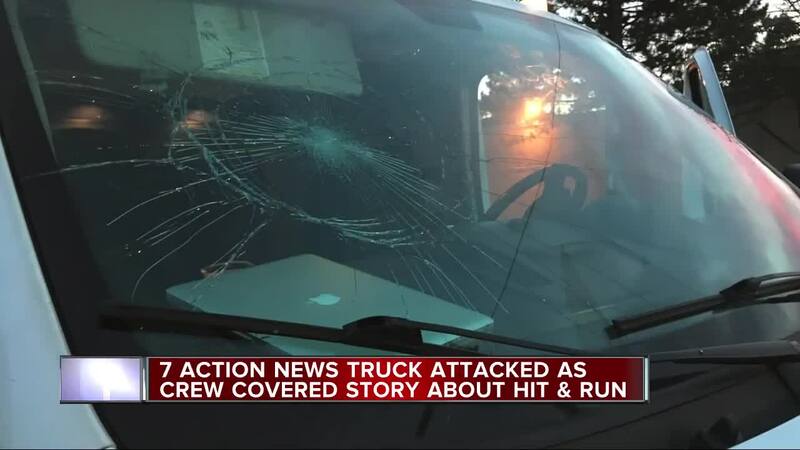 He went up to another media vehicle, a WWJ News car, and struck the windshield and driver's side window. The man then walked to the WXYZ live truck and smashed the windshield and damaged the side mirror. He is now in police custody. Nia and Mike are not injured.